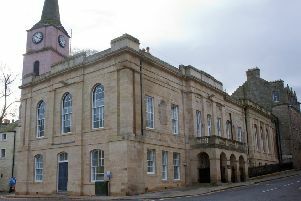 A 19-year-old denies pulling plants from display boxes in North Bridge Street on August 4. Christopher Rodgers, of Burns Road, also denies recklessly kicking a car there, and punching a glass panel to the danger of the occupants in Allars Crescent. Rodgers will stand trial on January 26.